Two children took their lives as part of a social media challenge. Our original article is below. The reported suicide of two children, aged 12 and 13, has caused Saudi Arabia to ban 47 video games. As reported by PC Games N, the list of banned games includes Grand Theft Auto V, Assassin’s Creed 2, and The Witcher. However, the deaths didn’t have an apparent connection with any of these violent video games. They were reportedly part of a deadly social media challenge called the Blue Whale Challenge. Social media and internet challenges have exploded in popularity in recent years, with everything from charitable causes (the ALS Ice Bucket Challenge) to dangerous “games” (like the Chubby Bunny challenge) encouraging participants to complete some sort of task and typically share their exploits online through photos and videos. PC Games N said the Blue Whale challenge takes 50 days to complete, with a moderator providing the participant with different tasks to complete each day. The challenge culminates with the participant being challenged to kill themselves. Forbes said the challenge’s name comes from the phenomenon of blue whales “beaching” themselves for no apparent reason. 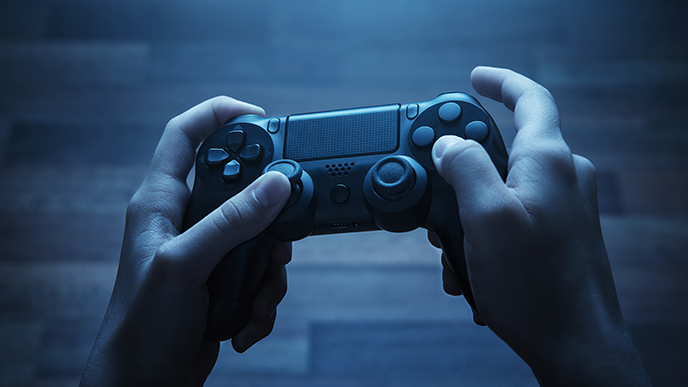 AP reported the video game ban comes from the Saudi General Commission for Audio-Visual Media, though the commission didn’t list any specific “violations of rules and regulations.” The commission also didn’t specify what connection the children’s deaths had to the ban. Tragic cases like these give parents all the more reason to keep an eye on their children’s online activities. If you or someone you know needs help, please contact the Suicide Prevention Lifeline or another emergency service in your area.